After many moons of practising, tired wrists and sore thumbs it dawned on me - these thumb cusions don't really do anything - it isn't the thumb rest that hurts, it is the clarinet's body. Of the strain exerted on the thumb, only ~30% comes from the thumbrest, the rest comes from the clarinet's body, and that one is never cushioned. 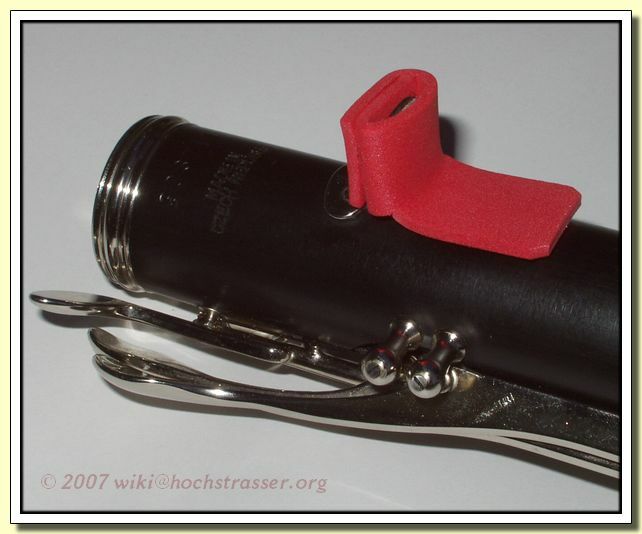 It usually is the first modification I do to my clarinets, but for everyone shy of semi-permanent modifications, here is a cheap solution: The 5 Minute 5 Cents Cushion. 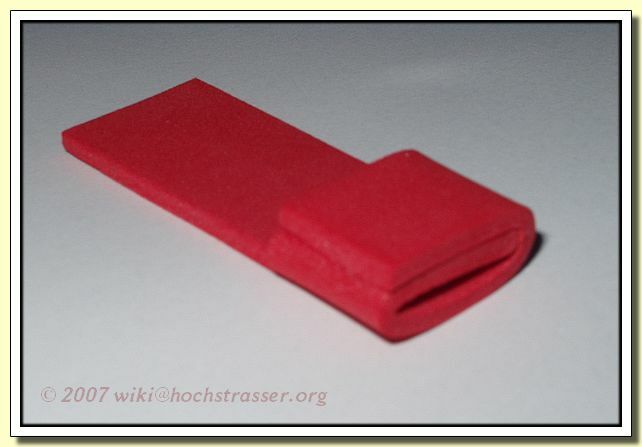 Cut a "T" from the foam sheet. 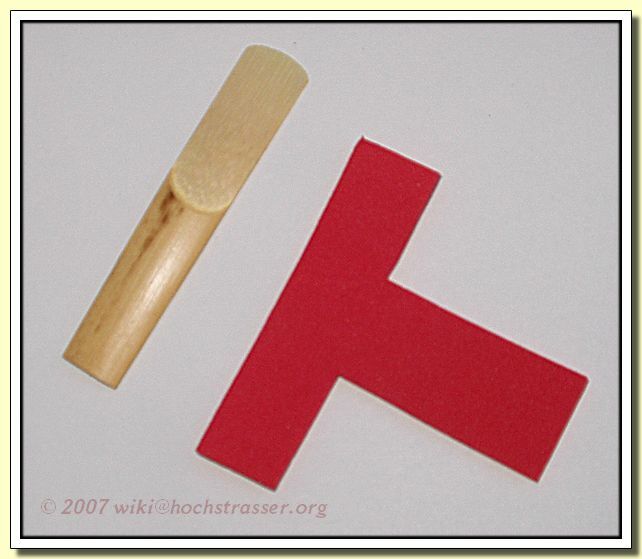 Compare the size to a Bb clarinet reed. Fold the arms of the T, glue them together. Do only glue one arm over the other, do not glue body and arm together. Trim as needed, slip on thumbrest.